Vatican City, Oct 25, 2018 / 12:54 pm (CNA).- Women, including religious and consecrated women, have had an active role in the 2018 synod of bishops: they have listened to the synod’s discussions, spoken on the floor of the synod hall, participated in small discussion groups of synod participants, and helped draft key synod texts. Yet women will not be voting on the final text of the synod document, and some at the meeting have asked why not. According to the canonical norms governing synods of bishops, only clerics – that is deacons, priests, or bishops – can be voting members. Canon law specifies that the members of the Synod of Bishops are bishops, as well as “some members of clerical religious institutes,” that is priests from religious orders. Despite the norm that reserves formal membership to clergy alone, two non-ordained religious brothers attending the current synod have been given the right to vote as full members. 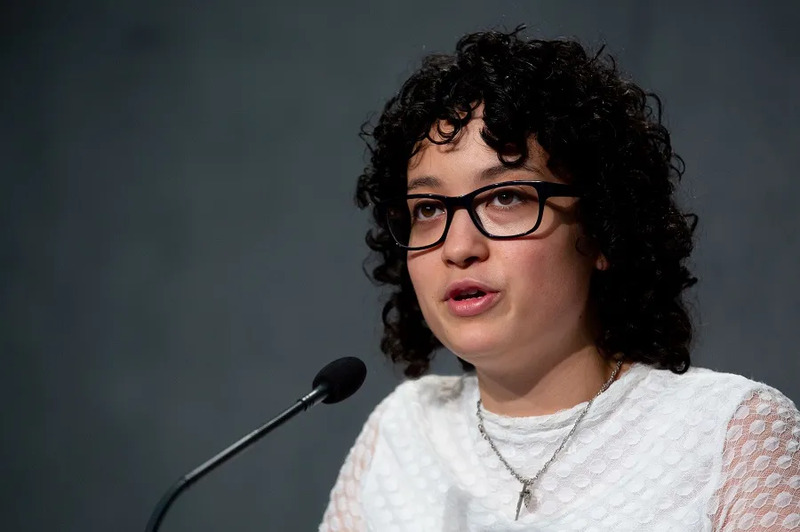 This has raised questions in Rome about how such an exception was made, and whether it might also be made for religious sisters and other participating women. On Sept. 15, Pope Francis promulgated a new apostolic constitution governing the Synod of Bishops, Episcopalis communio. This document replaced previously issued documents on synod processes, but upheld the law on synod membership written in canon 346 of the Code of Canon Law. In the document, the pope directed the Secretariat General of the Synod of Bishops, headed by Cardinal Lorenzo Baldisseri, to issue an instruction on the conduct of synods in general and on the regulations for each specific synod assembly, in conformity with canon law. Baldisseri’s general instruction, published Oct. 1, outlined norms on voting members, formally called Synod Fathers, with specific directions on how they are to be elected, including how many delegates each bishops’ conference should elect as representatives. The “representative body of superiors general” is the Union of Superiors General (an umbrella group representing about 185,000 priests and brothers). Although the synod instruction specifies that they should be “clerics,” the ten elected by the superiors to attend the 2018 synod include two non-ordained men: Br. Robert Schieler, superior general of the De La Salle Brothers and Br. Ernesto Sánchez Barba, superior general of the Marist Brothers. These brothers are expected to vote on the synod’s final document. During the September presentation of the pope’s new constitution for the synod, Bishop Fabio Fabene, undersecretary of the Synod of Bishops, said that non-ordained religious brothers had also been Synod Fathers at the 2014 and 2015 synodal sessions on the family, and so the Union of Superiors General could continue to elect non-priest religious if they choose to do so, despite the text of the instruction and canon 346. Fabene also said it was possible, even “in the near future,” that religious sisters might also vote on the deliberations of future synods. Despite Fabene’s remark, recent comments from the pope himself suggest that he believes the synod is a unique expression of the ministry and role of bishops. The pope has said that special consideration should be given during synods to the participation and contribution of religious brothers and sisters, consecrated men and women, and members of apostolic societies. He has also emphasized the voice of lay Catholics in the synod process. But while the pope seems to value the consultative voice of other Catholics, he has also emphasized that bishops function uniquely as representatives of the People of God. “Although structurally [the synod] is essentially configured as an episcopal body, this does not mean that the synod exists separately from the rest of the faithful. On the contrary, it is a suitable instrument to give voice to the entire People of God, specifically via the bishops,” he wrote in Episcopalis communio. 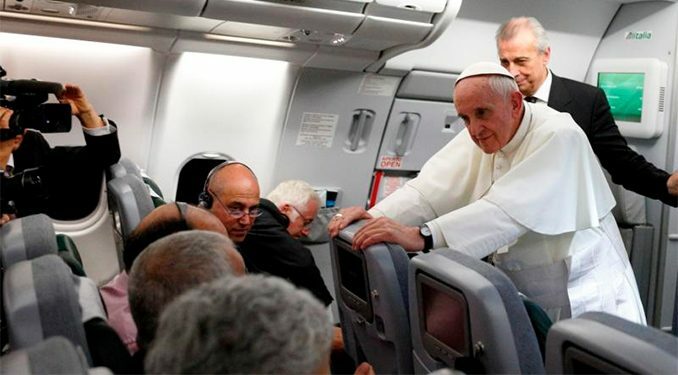 Vatican City, Apr 1, 2019 / 11:02 am (CNA).- Pope Francis said Sunday that abortion is not a lawful way to solve problems, even in extreme and desperate situations, and that awareness of the need to help women in difficult pregancies is on the rise.